2007 was a landmark year for many Art21 artists. Apart from the accolades and prizes bestowed upon such artists as Kara Walker, Trenton Doyle Hancock, Jessica Stockholder, Kerry James Marshall, and Cai Guo-Qiang, the multitude of exhibitions featuring Art21 artists reflect the pinnacle stages in many of their careers. While this is an achievement in its own right, we wanted to mention some of the other critical kudos recently published in print and online. As previously cited in December, the top ten exhibitions of 2007 for Time’s Richard Lacayo include those of artists Richard Serra (#1), Vija Celmins (#3), Martin Puryear (#5), and Kara Walker (#6). For Howard Halle of Time Out New York, Serra’s show at MoMA is one of 2007’s best. 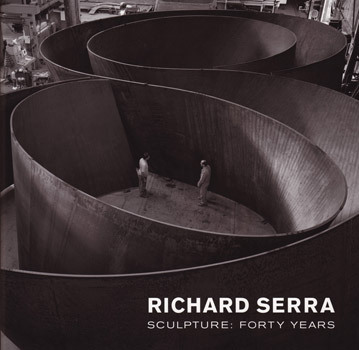 “Serra put the me in heavy-metal postminimalism, but in this retro of curving labyrinthine slabs, he put you and I and just about everyone else in there, too.” remarks Halle.